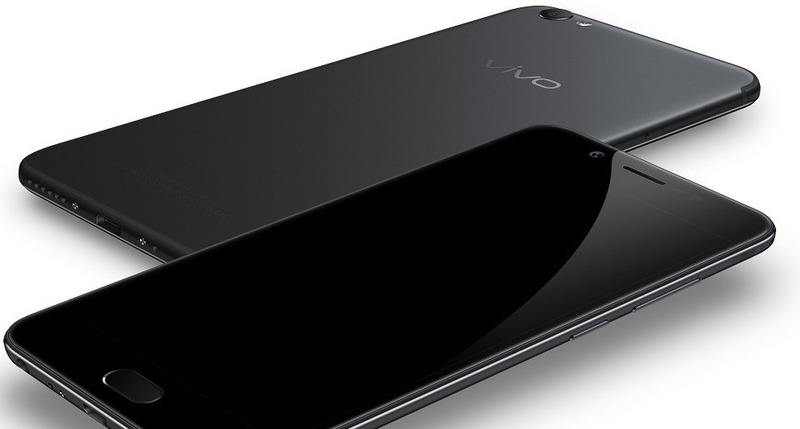 Chinese smartphone maker Vivo has launched their newest offering: Vivo V5s, with claims that the phone offers fastest fingerprint scanner – It takes just 0.2 seconds to unl the ck phone using the fingerprint scanner. The handset has been priced at Rs 18,990, and would be available starting from May 6th, 2017. Flipkart is the official partner for Vivo, for online sales; whereas it would be available at all leading offline stores. There are two colors available under V5s: Matte Black colour variant, which would be available from May 6th, and Crown Gold colour variant, which would be available from May 20th. Earlier this month, Vivo, which is the official IPL sponsors, had launched IPL centric, limited edition Vivo V5 Plus phone. The biggest selling point for this model from Vivo is their selfie feature. With 20 megapixels front camera (their rear camera is only 13 megapixels), LED flash and ‘moonlight glow, the phone has been marketed and advertised with selfie as the focal point, and with an interesting tagline: ‘It’s not a selfie.. This is myself’. In fact, all existing advertisements and marketing content for this new model by Vivo focusses on the selfie aspect, and their hashtag #PerfectSelfie was heavily used by Vivo fans on Twitter and social media. Selfie obsessed youngsters can find this new offering from Vivo interesting, because they have included a unique ‘group selfie’ feature as well. Using this, the user can take a panorama type selfie, while moving the phone left to right or vice versa. Vivo’s proprietary Android-based operating system: Funtouch OS, has been revamped and improved for V5s model. Funtouch OS 3.0 based on Android 6.0 Marshmallow is being used for V5s. For instance, users Funtouch OS can create clone of various apps, such as WhatsApp, and use it with two different phone numbers, at the same time. Besides, the feature of splitting the screen into various sub-sections is also available in V5s model, with better graphics and control. Split screen feature was launched in the V3 series of Vivo phones. Overall, it is a sleek, lightweight smartphone, having metallic rear end finishing and features the latest U-type antennae band design along with narrow bezels and curved edges. With its configuration, aesthetic appeal and economics, it gives fairly good fight to OPPO F1s and the Gionee A1. If you are using an existing Vivo smartphone, then do let us know your experience, by commenting right here! "Vivo V5s Selfie Focused Smartphone Launched @ Rs. 18,990; Claims Fastest Fingerprint Scanner! ", 5 out of 5 based on 2 ratings.